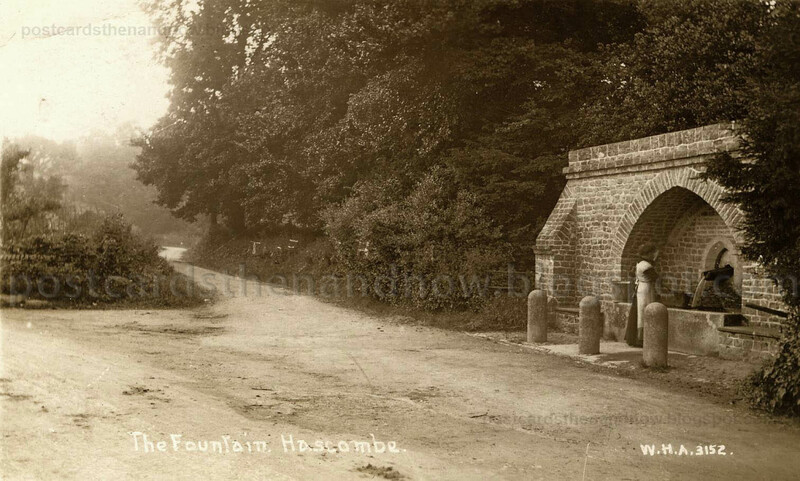 Hascombe, Surrey, The village fountain, circa 1912. Hascombe is an affluent village in Surrey. The village fountain, now a listed building, is a source of natural spring water and was built in 1877 by Edward Lee Rowcliffe as a memorial to his brother. It is still a popular source of free mineral water. The inscription above the fountain says "Whosoever will let him, take the water of life freely". Lightwater, Surrey, Macdonald Road circa 1912. Lightwater is a village in Surrey. At the end of the road you can just make out a sign in front of one of the houses that says 'C. T. Cooper, Builder and Decorator'. 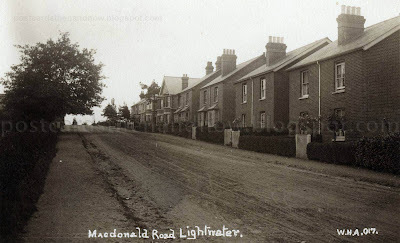 Postcard by W. H. Applebee of Ashford. Click the postcard to enlarge. Belmont, Surrey, Station Road circa 1910. 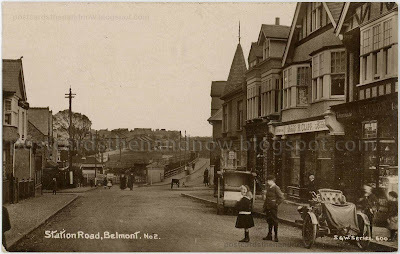 Belmont is a village in the London Borough of Sutton in southwest London. Note the curious three-wheeled vehicle. Postcard by S&W. Click the postcard to enlarge. 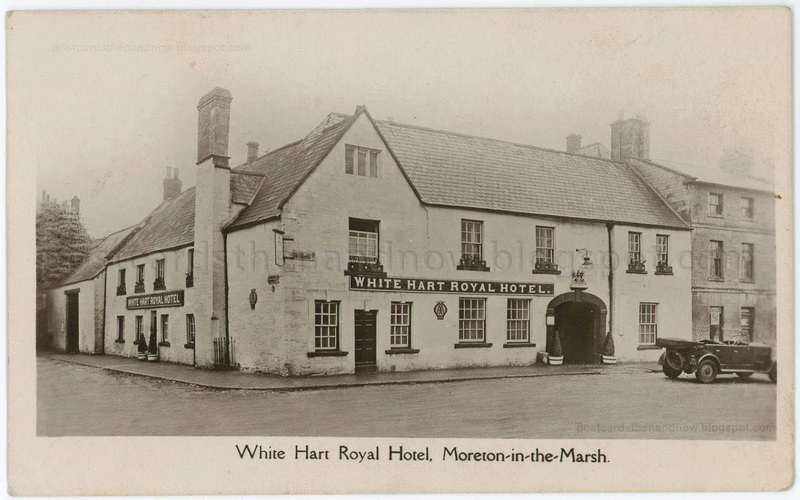 Moreton-in-Marsh, Gloucestershire, White Hart Royal Hotel, c1920s. 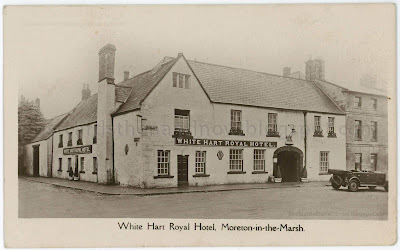 The White Hart Royal Hotel is still in business. The hotel was originally built in the seventeenth century and substantially extended in the late eighteenth century. Click the postcard to enlarge. Pinkneys Green, Berkshire, The Post Office circa 1913. Pinkneys Green is a village in Berkshire, near Maidenhead. The post office is now a private residence. Note the chickens in front of the post office. 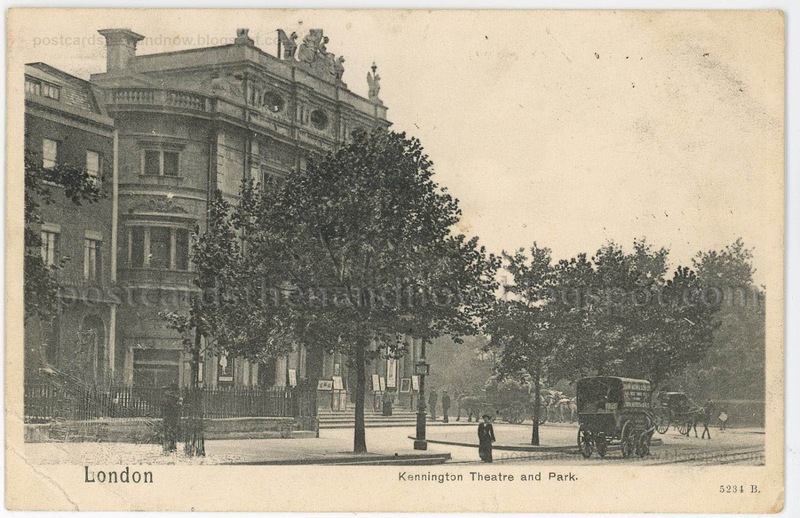 Postcard by W. H. Applebee. Click to enlarge. 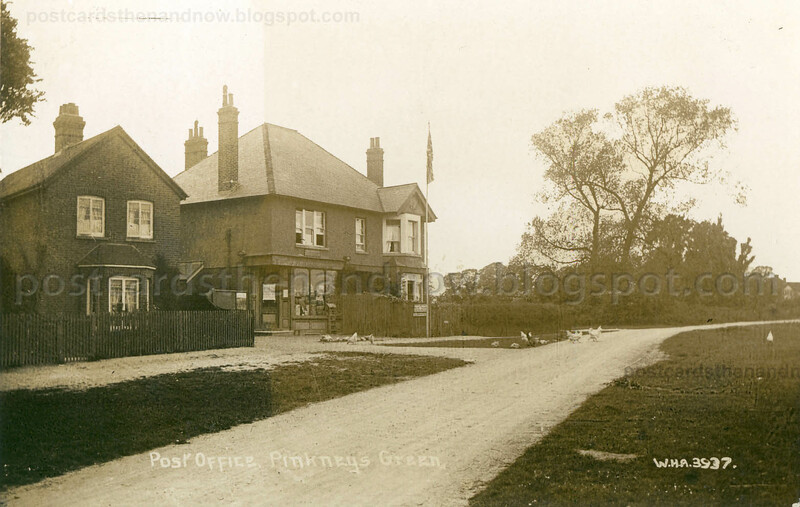 Also see this post for another Pinkneys Green postcard. 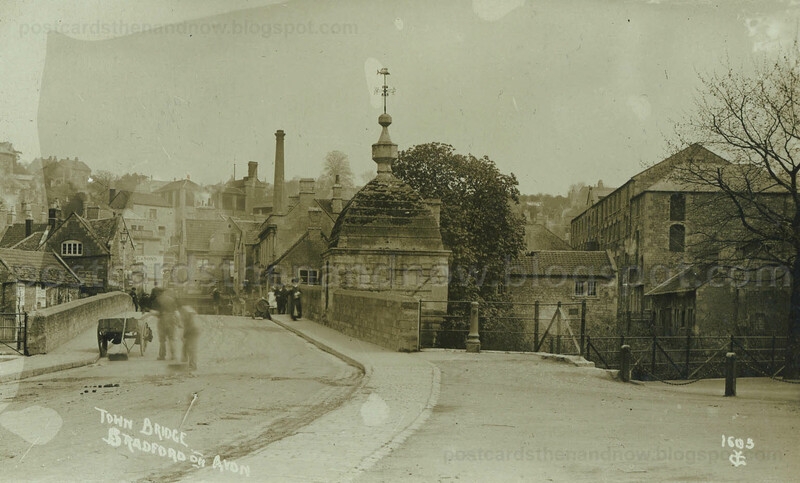 Bradford on Avon, Wiltshire, The Town Bridge, circa1910. Bradford on Avon is a small town in Wiltshire with many historic buildings. This postcard by Young & Co of Teddington shows the Town Bridge. The small domed building is the lockup, where the town's troublemakers were put for the night. Click the postcard to enlarge. 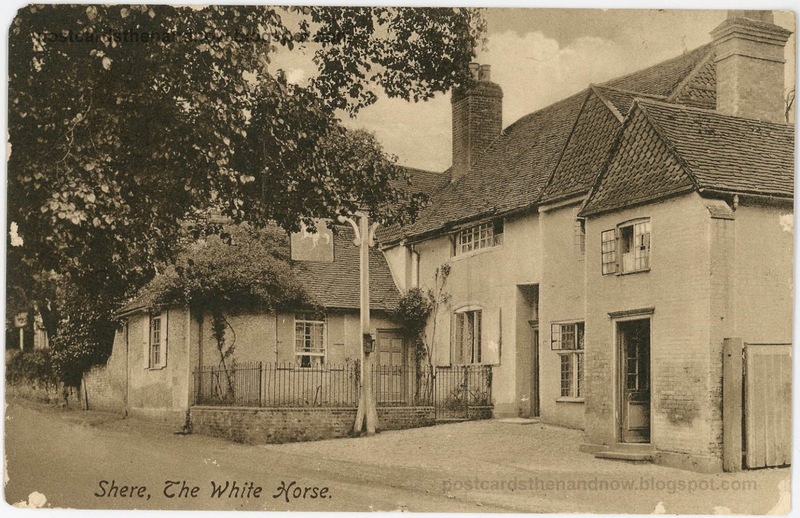 Shere, Surrey, The White Horse Pub, circa 1906. Shere is a picturesque village in Surrey. Whenever I've been there it has been packed with daytrippers. The White Horse pub is still in business.